Behaviour Interactive officially changed its name from Artificial Mind and Movement today and announced that work has begun on sequels of both Wet and Naughty Bear. 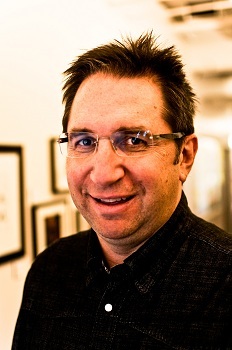 Remi Racine founded Behaviour Interactive in Montreal in 1992, working on games for the original Sony PlayStation. With a group of investors, Racine bought out the company some time later, but was unable to secure the name so he decided to rebrand it as Artificial Mind and Movement, also known as A2M. In the last decade, A2M has grown to employ over 450 people in its headquarters in Montreal, Quebec and a satelite office in Santiago, Chile. In addition to working on many licensed games and products, including The Sims 3 for the Wii, A2M also released two original IP titles in the last two years: Wet and Naughty Bear. 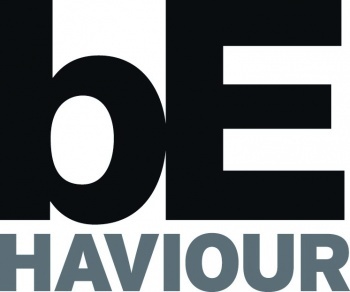 Today, A2M announced that it is rebranding itself; the company has returned to its original name, Behaviour Interactive. The company also announced sequels of Wet and Naughty Bear, as well as a Facebook game and a casual MMO that's launching this month. I asked CEO and Founder Remi Racine what all this means for Behaviour, and where he thinks the sequels can improve on the foundations laid by Wet and Naughty Bear. "When I bought the interactive division of Behaviour with other investors, we were unable to secure the brand (name) at that time," Racine said via an email discussing the change. "The reason to switch back is that it has always bothered us that we lost a little part of ourselves when we couldn't bring the Behaviour name with us and we are thrilled to have it back." I asked why Racine chose to use the British spelling of the word "behaviour" and he replied with some Canadian patriotism. "We are Canadian and we are proud of it," Racine said. "We don't feel we should have to necessarily completely conform to be accepted." Despite that link to the Great White North, the employees at the office in Santiago, Chile (formerly Wanaka Games) bring their own cultural sensibilities, a situation that Racine finds refreshing. "Montreal has its own culture like New York, Toronto, LA, Santiago, and Tokyo all do. We all have our own culture and we make games to entertain players around the world," Racine said. "The collaboration within our studios and with our publishing partners is a key area that drives the creativity of our projects." Racine is excited about sequels to it original IPs, despite a generally lukewarm critical reception for both Wet and Naughty Bear. "We accomplished a lot with Wet and we are very proud of it. When going through the reviews themselves and doing our own post mortem we saw where we succeeded and the areas we need to work on and there were not a lot of surprises to be honest. The sequel is going to capitalize on the strengths of Wet and will certainly address its shortcomings. "Naughty Bear is a bit of a different story for us. In going through the reviews there was such a wide range of reception on the title," Racine admitted. "What was almost universal was the reception of the brand itself. We have a good handle on Naughty Bear's strengths and weakness and have a very strong plan to capture the spirit that audiences identified with and deliver an experience that lives up to those expectations." Behaviour Interactive has its fingers in many pies as there is a casual MMO in the works, as well as a Facebook game expected to launch this month. "We have a very strong history making games that appeal to a family audience and the casual MMO project we are working on is right in our wheelhouse," Racine said. "When you see it, and it will be soon, it is distinctively what we do. The product is coming together great and we are super excited about it." It's great to see an independent game studio thrive, and that is exactly what Behaviour is doing. Racine is unafraid to push the design of games forward with his original games, while also ensuring that his employees have a paycheck by designing licensed games and ports. So far, the plan has been working for Canada's largest independent videogame developer, and I wish Behaviour success in all of its future endeavors.